CFP for Craig Johnson/Longmire collection. 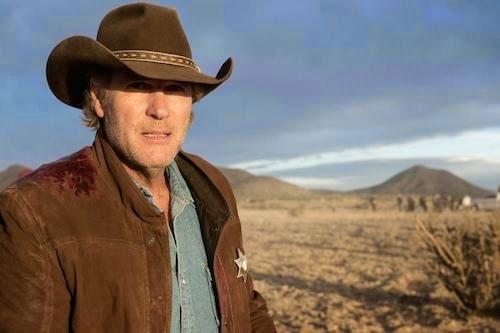 Clues Editorial Board members Rachel Schaffer (MSU Billings) and John Scaggs (Southwestern College [KS] and author, Crime Fiction) are coediting the McFarland essay collection Wanted, Read or Alive on Craig Johnson's novels with Wyoming sheriff Walt Longmire and the Longmire TV series. Submission deadline is June 1, 2015. Read further details about the Call for Papers. Nazis, G-Men, and "laboratories of diabolic science." Hot diggity. Ursula Le Guin on Lovecraft. I really enjoy the Times Literary Supplement's "Then and Now" feature. 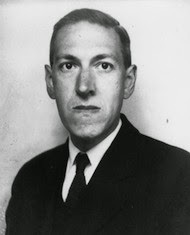 One of the recent ones is Ursula Le Guin's 1976 review of Lyon Sprague de Camp's Lovecraft: "Lovecraft dangles like a rabbit from the jaws of his unconscious." Of related interest: Brown Daily Herald on the real-life setting for Lovecraft's The Shunned House. "The Machine Calls It Murder" (May 1960). Long before sophisticated number crunching, this Sunday Mystery Hour episode produced by Himan Brown (CBS Radio Mystery Theatre), directed by Marc Daniels (Star Trek), and hosted by Walter Slezak featured a mild-mannered insurance analyst who sees a disturbing pattern in computer-generated data on the deaths of women. 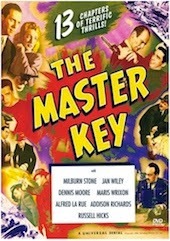 Starring are Everett Sloane, Larry Blyden, David White, Lee Patrick, actor-screenwriter-director Paul Mazursky, and a Univac computer. Online "Literary Landscapes" exhibition, BPL. The Wizard of Oz, 1901. NYPL. 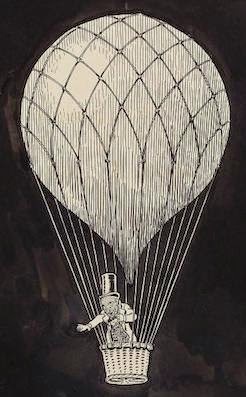 The "Literary Landscapes" online exhibition at the Boston Public Library includes the "Sherlock Holmes Mystery Map," "A Map of Narnia and the Surrounding Countries," a map from The Phantom Tollbooth, and "A Map of the Countries Near to the Land of Oz." Femme fatale Lizabeth Scott died on January 31 at age 92. In Stolen Face, Paul Henreid—a doctor with Pygmalion tendencies—gets more than he bargained for when he performs plastic surgery on the face of disfigured prisoner Scott. 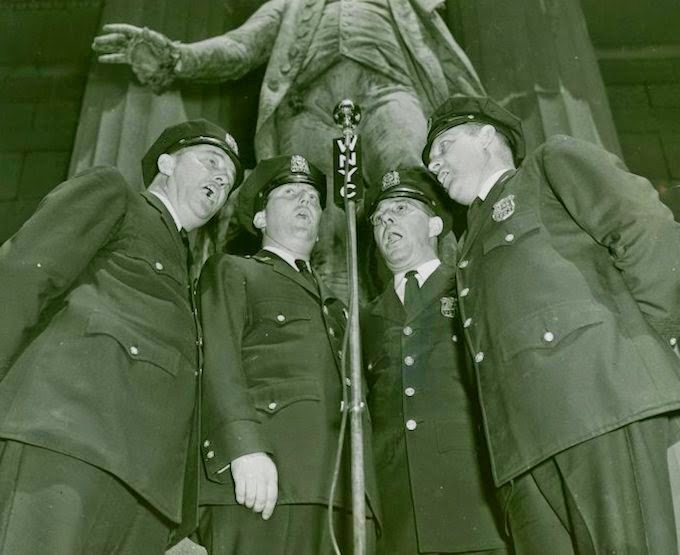 On the blog of NYPR Archives and Preservation, Andy Lancet, director of archives for New York Public Radio, recalls the role of WNYC in New York law enforcement, including the "singing safety policeman" of The Police Safety Program (1949–50). Listen to some police safety songs below from the program. 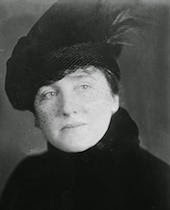 A few years before Mary Roberts Rinehart published her first mystery novel The Circular Staircase (1908, sent to American servicemen during World War I), she wrote an engaging poem, "The Detective Story," which appeared in the May 1904 Munsey's Magazine. A tearsheet of this can be found in her papers at the University of Pittsburgh. Of smashed and broken furniture, and blood-stains on the floor. And people standing round with trembling knees and faces pale. The way they miss the plainest clues is almost past belief. Bring in the great detective with the shrewd and kindly face. At once he sees a thumb-print on a nearby cake of soap. And now the great detective knows who did that murder foul! With microscope in hand he's on his knees there in a flash. "Aha!" he says at length. "The villain smoked a Henry Clay! This is no common scoundrel, and he isn't far away." While all the local force stand by and feel like thirty cents. And probes with needles fine and long the cushions of each chair. And measures all the scratches from the chimney to the door. And by the length of stride he's five feet nine when standing straight. "He wore a black and white checked suit; see, here I find a thread. A soft slouch hat he had, crushed down upon his curly head. And on the chandelier I found this single curly strand. His hat, his hair, his clothes, his height, and even size of feet. For there's the man we're hunting walking down the other side!" Oh, thanks to British Conan Doyle, to French Gaboriau. And also many thanks to our own Edgar Allan Poe. To them we owe a debt of gratitude that's hard to pay. For teaching us to frustrate crime in such an easy way! Barry Day speaks on Raymond Chandler. 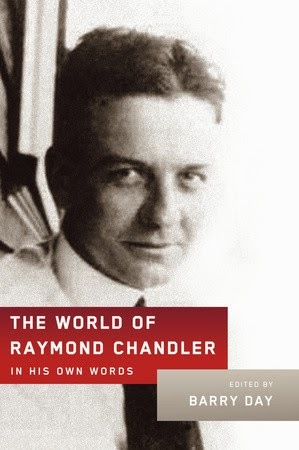 On Gary Shapiro's radio program From the Bookshelf, Barry Day (known for his works on Noel Coward) discusses his new book The World of Raymond Chandler: In His Own Words, in which he endeavors to show what Chandler thought of his own work. Day highlights Chandler's emphasis on language rather than plot or character, his admiration for the writing of F. Scott Fitzgerald, and his dislike of the work of Ernest Hemingway. Remembering Lizabeth Scott: Stolen Face (1952).